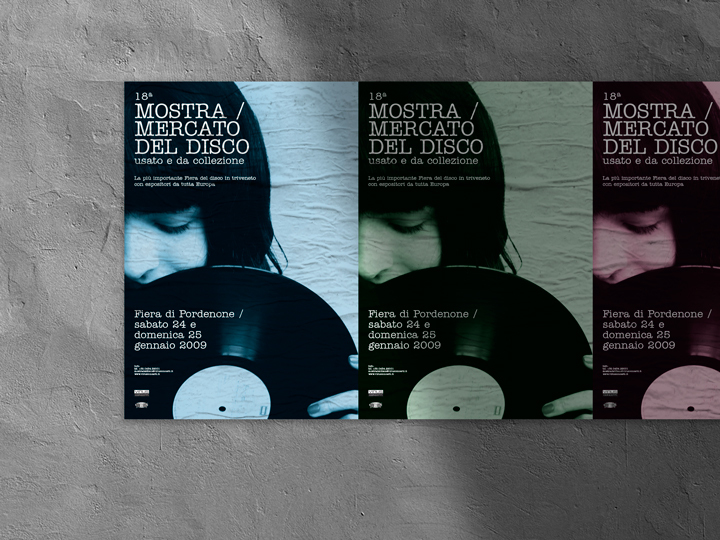 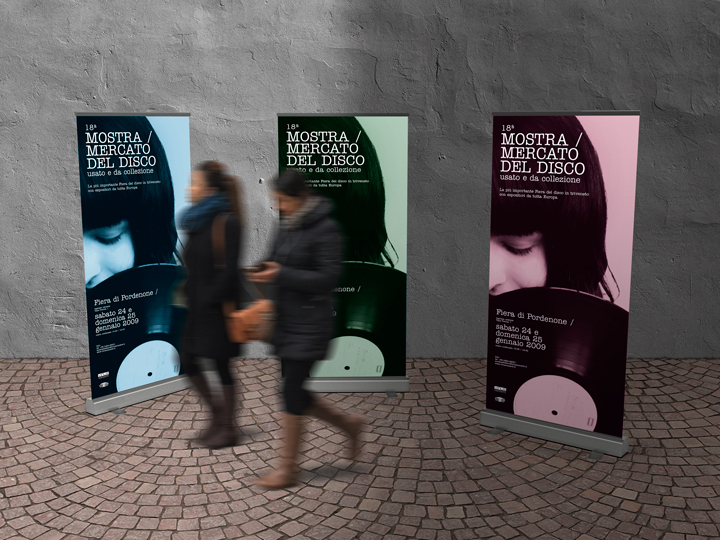 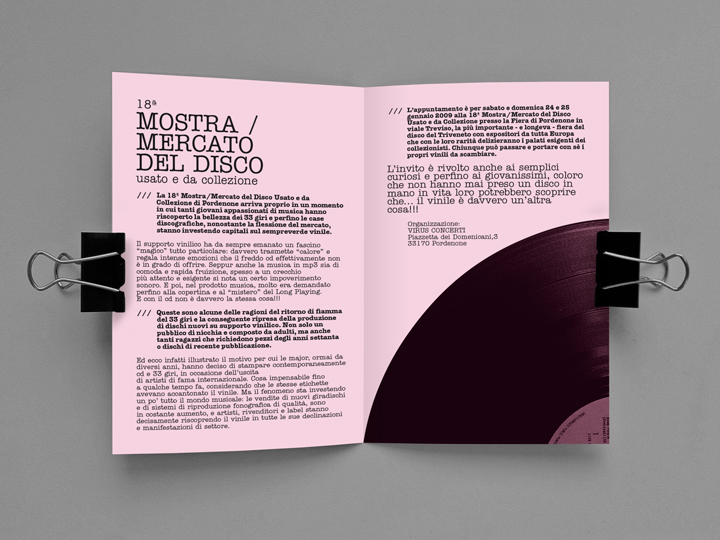 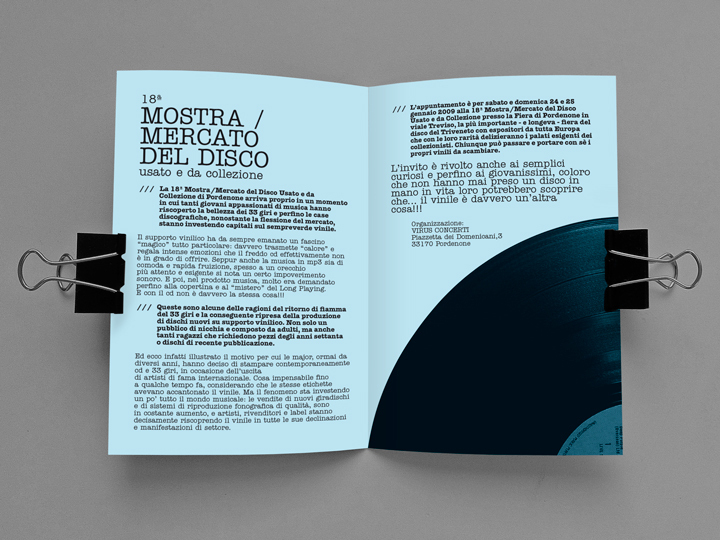 Set of posters + flyers + banners, presented in 3 different colors, for a used vinyl fair and vintage/rare LP’s exhibition in Italy. 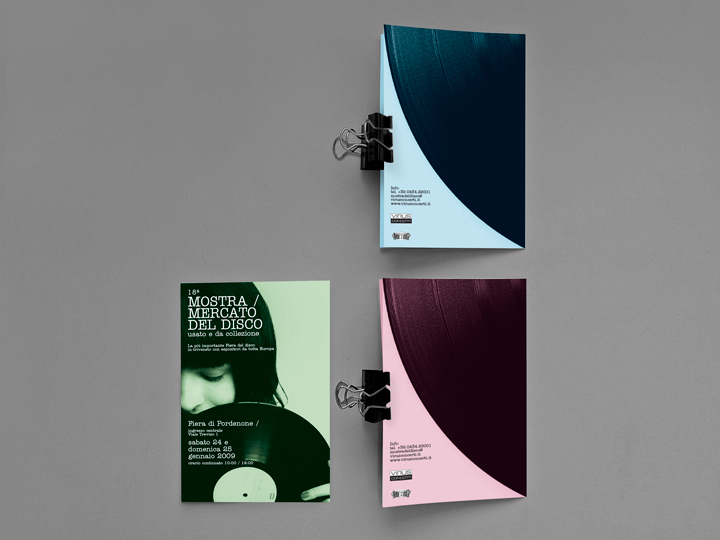 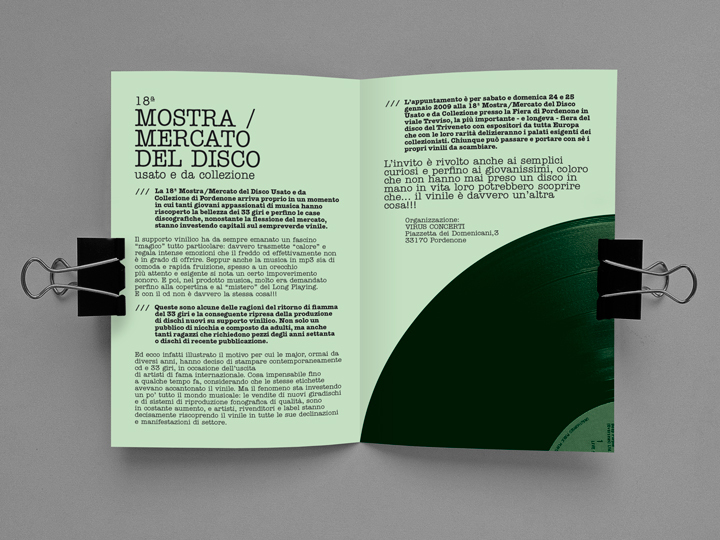 The intention was that to propose an elegant and clean graphic material with seemingly trivial and simple elements (a vinyl record ’emotional’ photo and a ‘typewriter’ font) but presented in a highly visible and recognizable way (the use of different colors). 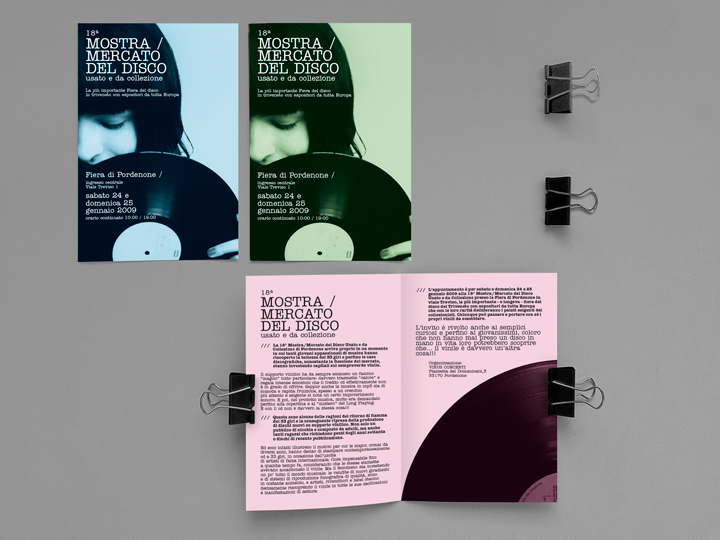 The impact of the work became so pretty stylish and catchy, but not ‘cheap’. 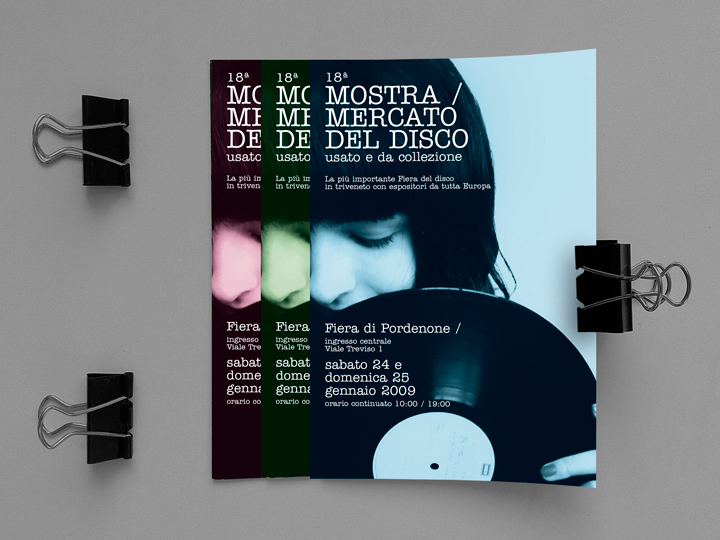 This is a student work made at Csg.lab (UD, Italy). 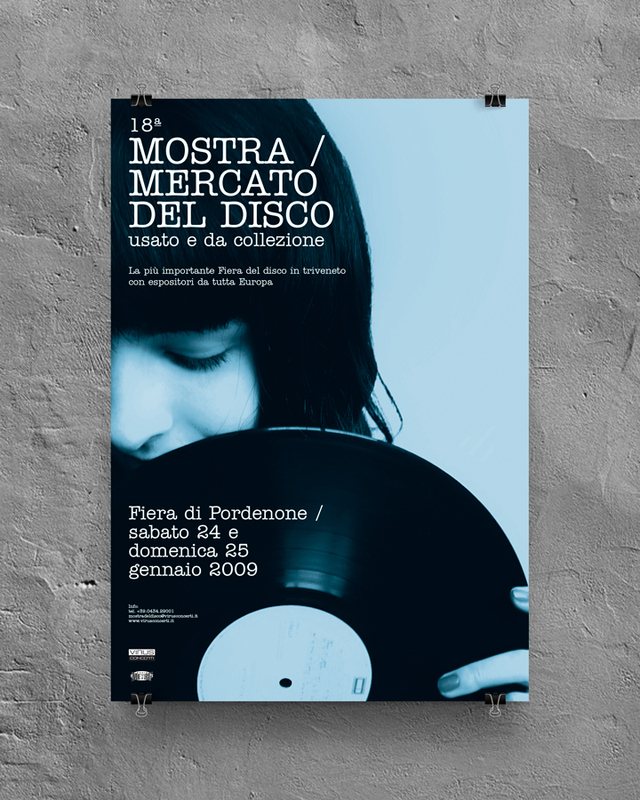 It was not produced with any commercial purpose, all the materials (images, texts, etc.) 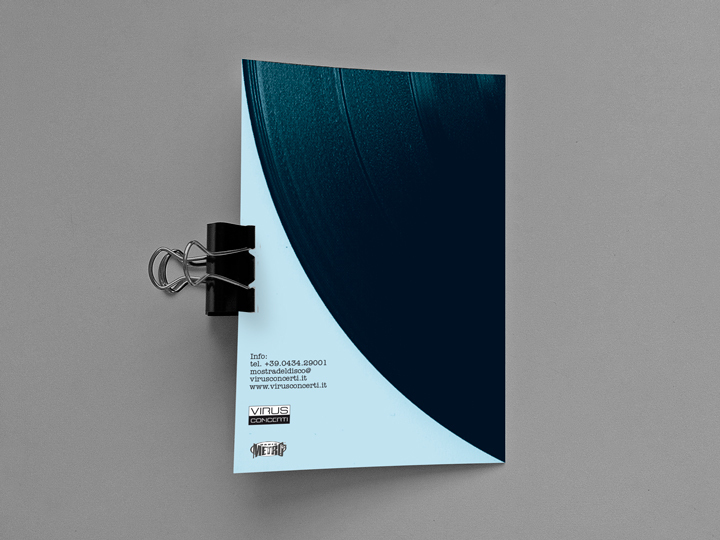 used here were managed only for scholarly purposes.